Today is the last day we are going to have a city tour in East Europe, tomorrow we are heading back to our country so we are going to make the best of it. In the morning we visited Nymphenburg Palace. The Nymphenburg Palace is a Baroque palace in Munich, Bavaria, southern Germany. 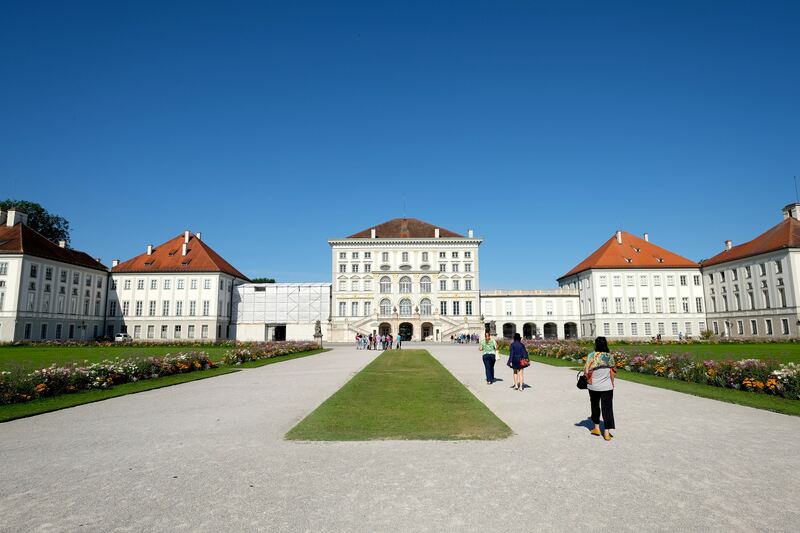 The palace is the main summer residence of the former rulers of Bavaria of the House of Wittelsbach. Nymphenburg Palace front garden, Munich. 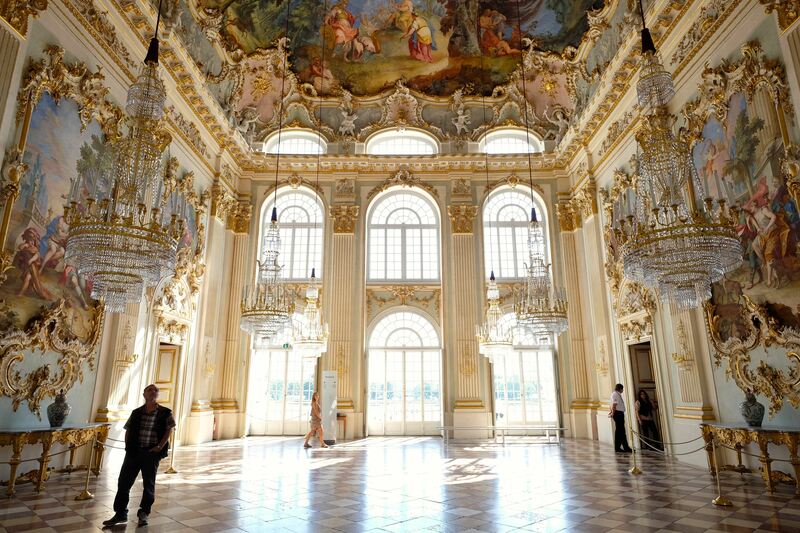 The main hall of Nymphenburg Palace, second floor. The palace, together with its park, is now one of the most famous sights of Munich. The baroque facades comprise an overall width of about 700 metres. 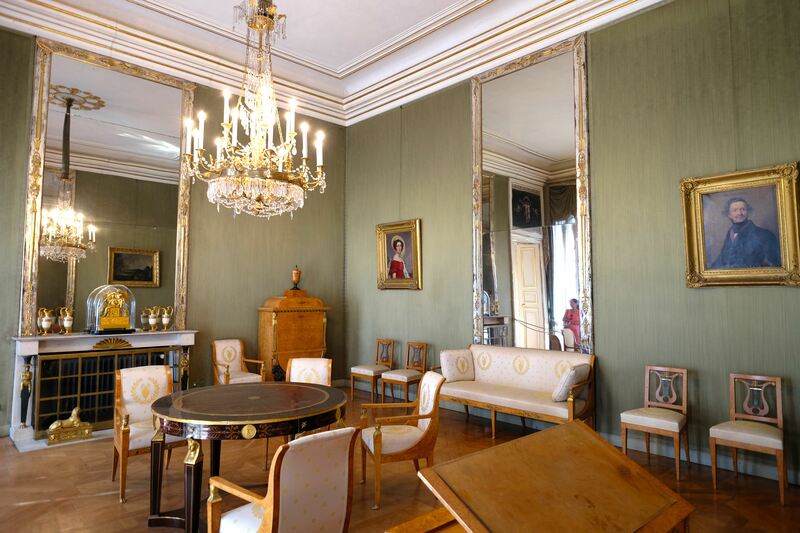 Some rooms still show their original baroque decoration while others were later redesigned in rococo or neoclassical style. 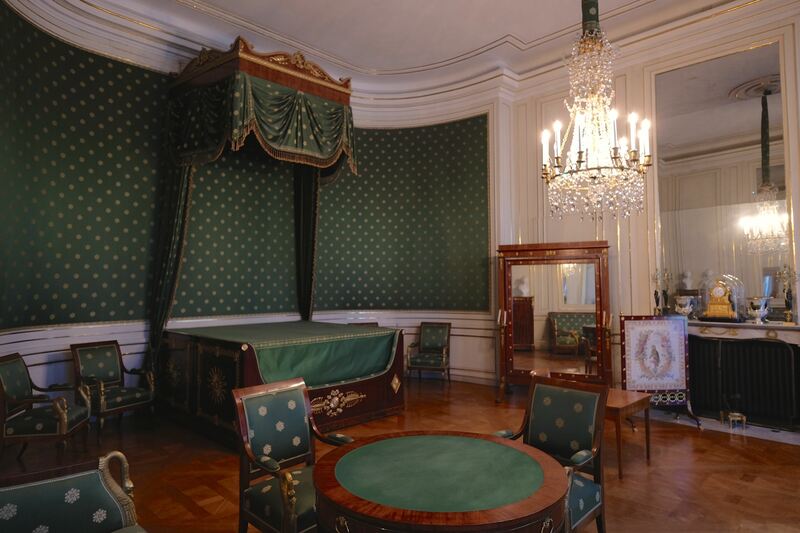 The exhibited room inside Nymphenurg Palace, Munich. After 45 minutes inside the palace and the garden on the backside, we went to BMW World. On our way there, we saw the olympic stadium. 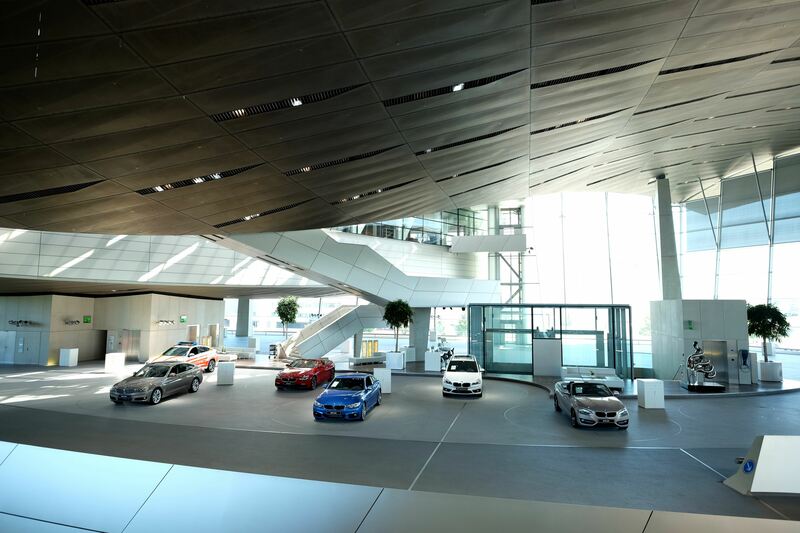 BMW Headquarters is a Munich landmark which has served as world headquarters for the Bavarian automaker BMW for over 40 years. It was declared a protected historic building in 1999. Extensive renovations commenced in 2004 and were completed in 2006. Inside the BMW World we could see cars and even buy them there, there is also a souvenir shop. 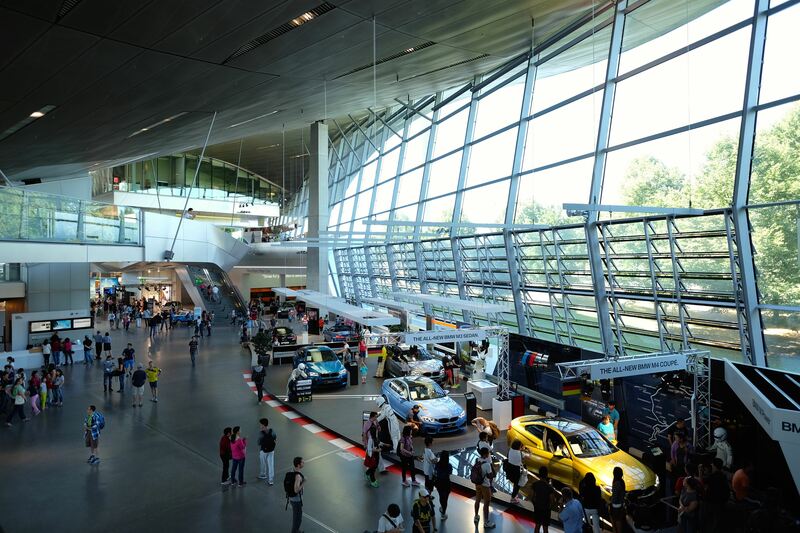 A must visit for automotive enthusiasts. Automobile inside BMW World, Munich. 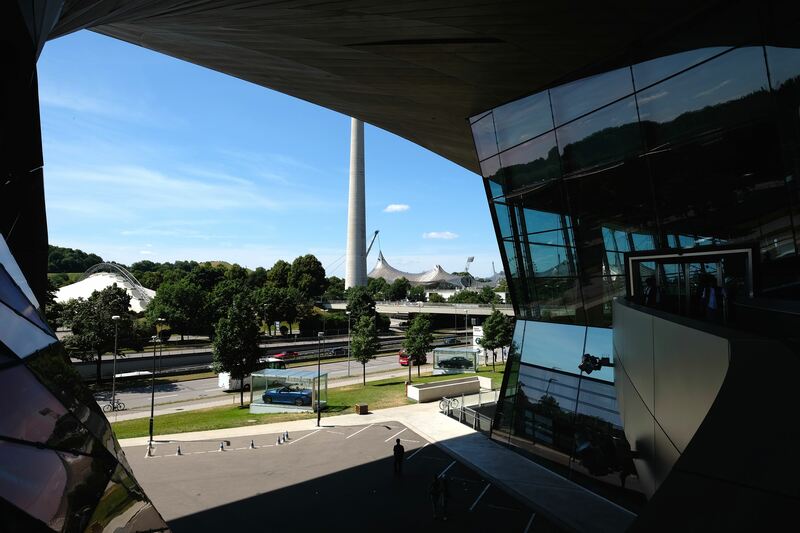 The olympic stadium seen from BMW World, Munich. Our lunch today is at Ratskeller, located under the city cathedral. Our bus stopped in front of theatre house and we walk to the old town area while our tour guide explain the history of the city. We ate roasted chicken and got ice cream for desert. The place was nice and the service was great, a recommended place to lunch in Munich. After lunch we got quiet a lot of time to spent but all of the stores are closed at Sunday, so we sat on a café near the street and watch a very funny impromptu show performed by a local guy. A around three o’clock we walk for twenty minutes or so from the old town to English Garden. 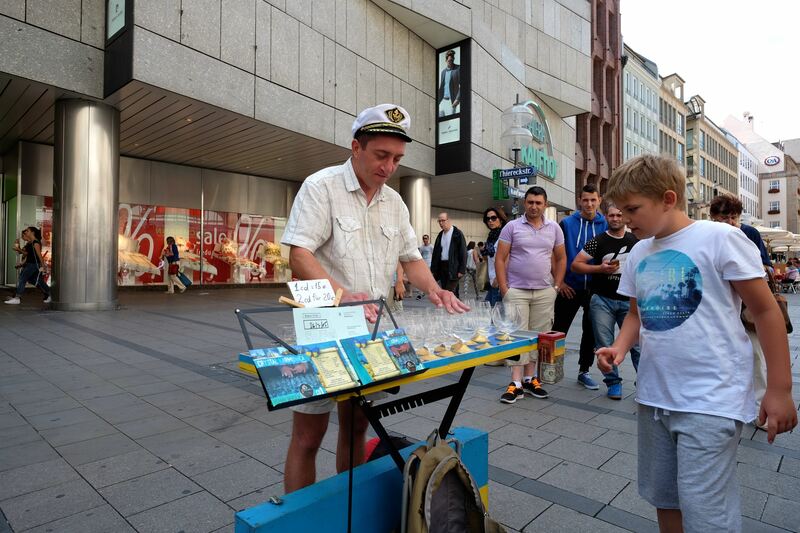 A local musician playing Canon in D mayor with glasses of water. The Englischer Garten, German for “English Garden”, is a large public park in the centre of Munich, Bavaria, stretching from the city centre to the northeastern city limits. 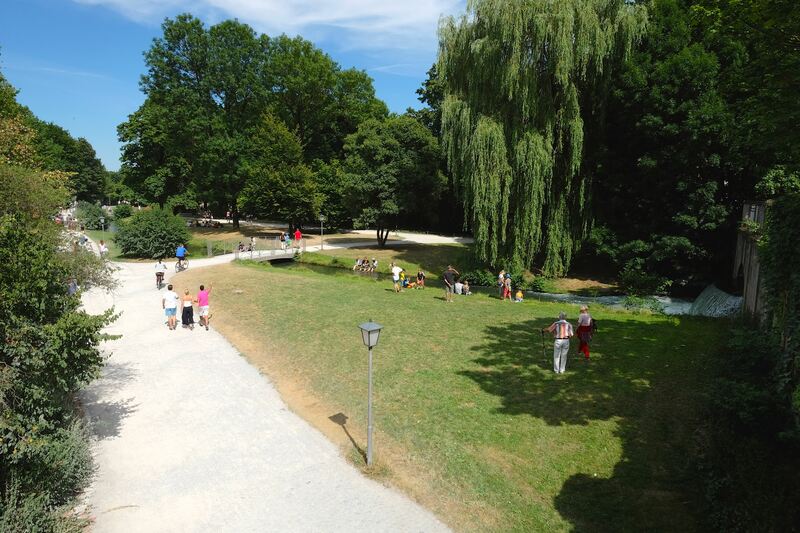 With an area of 3.7 km2 (1.4 sq mi) (370 ha or 910 acres), the Englischer Garten is one of the world’s largest urban public parks, larger than New York’s Central Park. The name refers to its English garden form of informal landscape, a style popular in Britain from the mid-18th century to the early 19th century and particularly associated with Capability Brown. The English Garden, Munich. A nice place to stop and spend your evening. 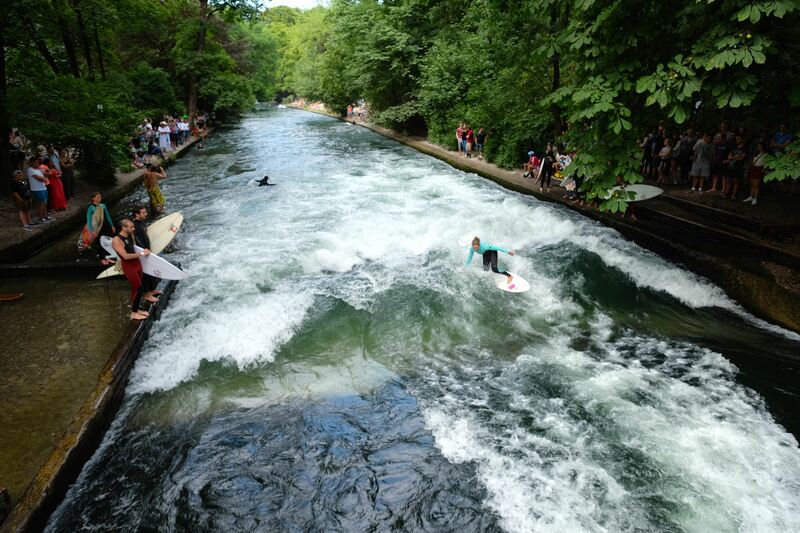 Surfers riding the waves at the canal end in English Garden. 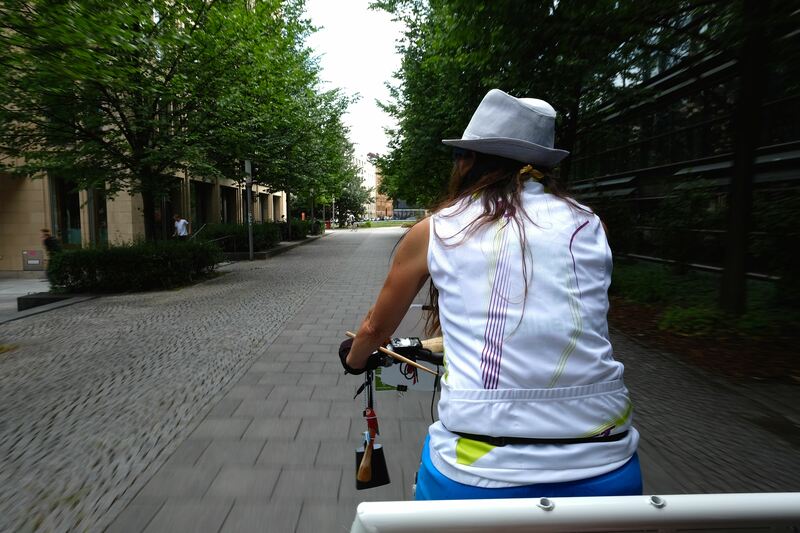 We ride a tricycle from English Garden back to old town area. After visiting English Garden we went back to the old town area and wait for dinner time. We went to Hard Rock Cafe, bought some clothes and sat on the table near the street for two hours. There is an old man playing guitars and singing near the crossroad, there’s also a mime artist asking people to take photos with him in return for money. Our lunch is at the Hofbräuhaus am Platzl, a beer hall in Munich, Germany, originally built in 1589 by Bavarian Duke Maximilian I as an extension of the Staatliches Hofbräuhaus in München brewery. The general public was admitted in 1828 by Ludwig I. The building was completely remodeled in 1897 by Max Littmann when the brewery moved to the suburbs. Everything but the ground floor (“Schwemme”) was destroyed in the bombing of WW II; it took until 1958 to be rebuilt. Inside Hofbrauhaus Munich, second floor. That’s the end of our city tour at Munich, so we got back to hotel and pack for our trip home tomorrow. 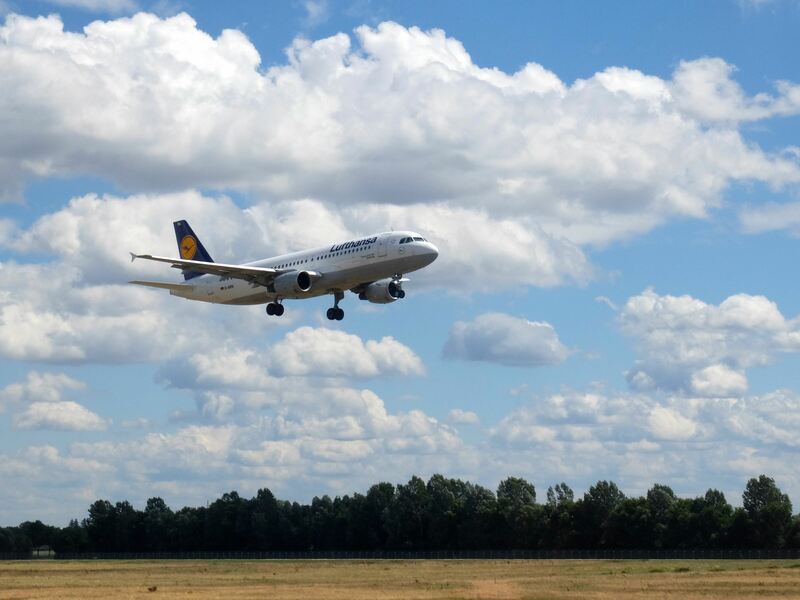 Lufthansa landing at Munich Airport. 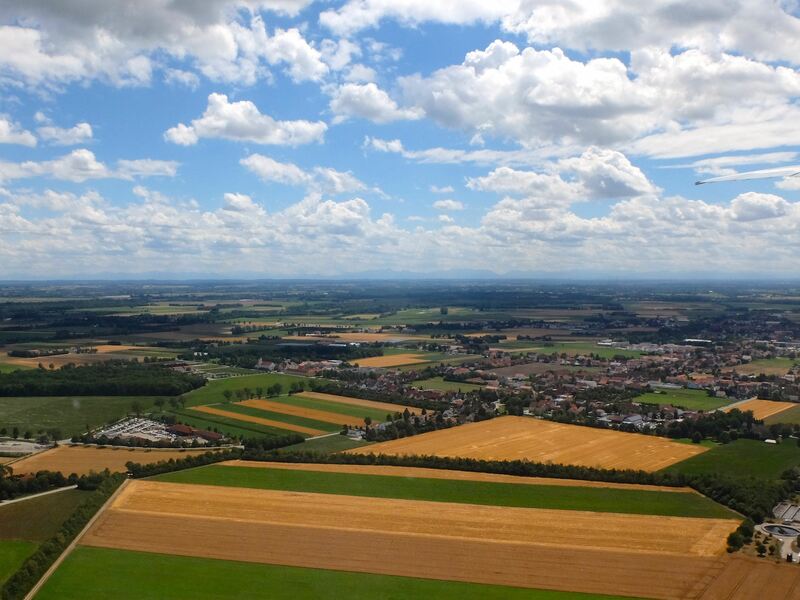 The landscape after take off from Munich Airport. I woke up on the flight and found beautiful lights under, with excruciating and painful process I manage to take some decent shots with my Fuji XT1 and XF 56 at f/1.2. 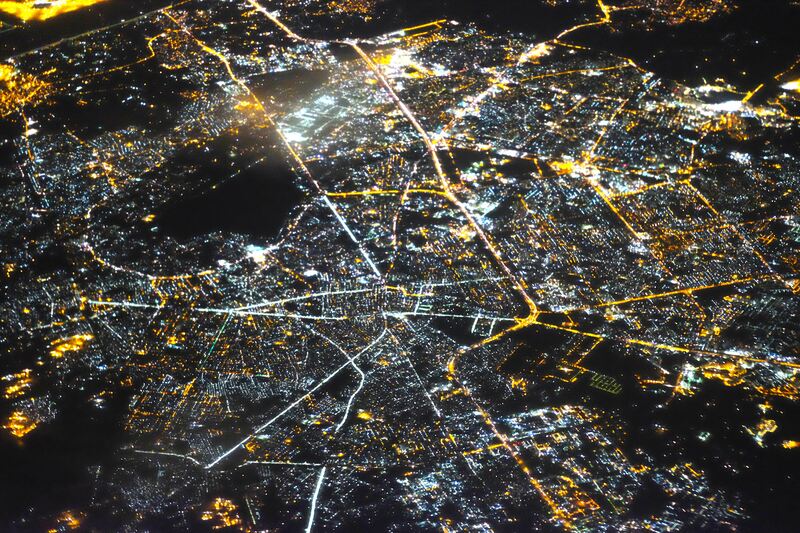 When I check with the GPS on the airplane, I was on the top of Kabul. 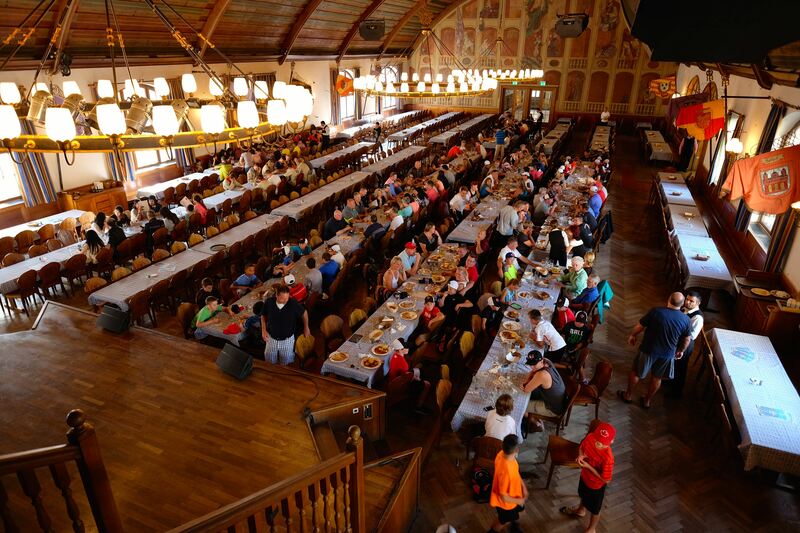 This entry was posted in Eastern Europe, Travel and tagged BMW world, city tour, english garden, germany, hofbrauhaus, munich, nymphenburg palace, ratskeller, surfer, Travel, trip. Bookmark the permalink. Great photos! I’m definitely going to have to check out the English garden when I visit, it looks beautiful. Thanks, be sure to use shorts in case you want to dip your feet into the water on a sunny day!